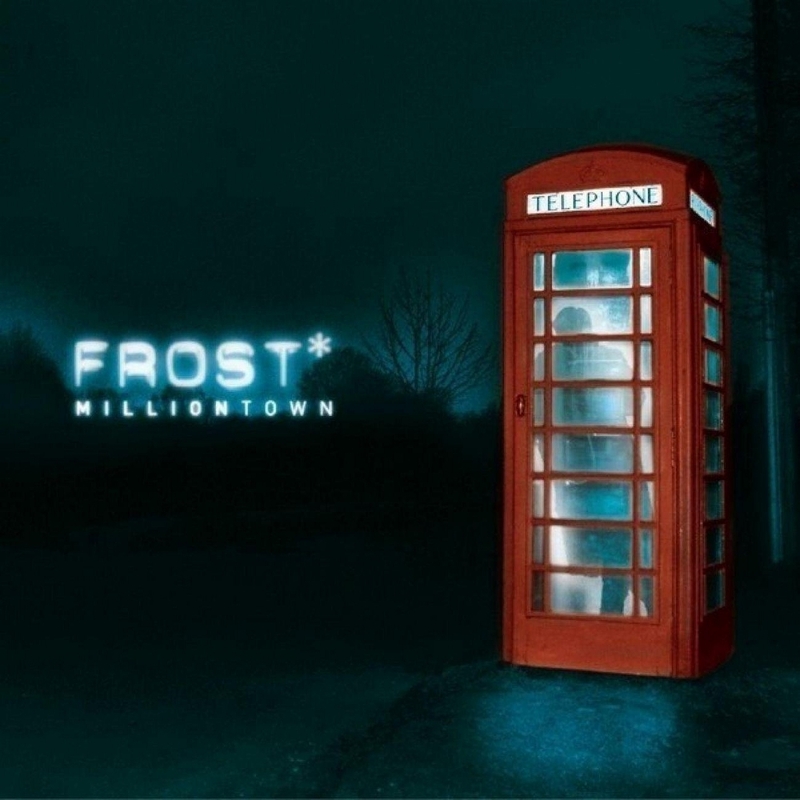 The first song on Frost‘s first album “Milliontown” is quite a head-turner. Starting out delicately and quietly, it soon launches into a symphony of bright colors, deeps lows, and flourishing lights. Being instrumental, it doesn’t have a whole lot to say, yet this song still serves more of a purpose than to rock our socks off. The song’s title is “Hyperventilate”, and I can’t help but think that this applies at least two ways. First, I feel like Frost is conveying an emotional state in which they can hardly breathe, not only because of the message they want to present, but also because of the emotions that are surging through them. Indeed, Frost‘s music is nothing if not a contrast of high/low and loud/quiet. Yet, second, perhaps we are the ones hyperventilating. We are unsure of the truth in our lives sometimes, and Frost is out to give us insight into some pretty dark and deep issues. Maybe we can’t breathe because we haven’t learned how to do that yet. “Wide eyed and cynical/ Right to the middle/ The emotion I can’t keep away”. You can always recognize it: that creeping feeling. It nags you endlessly. Did you make a big mistake? Did you throw your life away, all for someone who proved to be very different than promised? 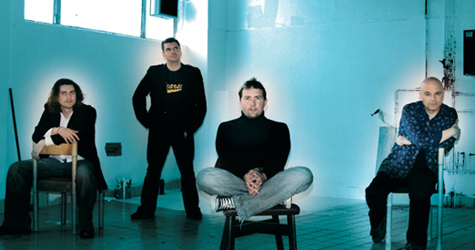 The second song on “Milliontown” is Frost‘s ode to broken relationships, “No Me No You”. It’s pretty obvious from the title that this track is about the end of a relationship. It’s a rather dark track, as this poor soul has been ripped apart by the feelings that he can no longer deny. “The solution is clinical/ Little by little I cut you away/ Keep cutting away.” Perhaps “Hyperventilate” is starting to make a bit more sense, as this person can no longer keep these feelings inside. We’ve all heard songs like this before, haven’t we? It isn’t usually accompanied by a grand melody or such character, but Frost has certainly tapped into a mainstream topic here. Yet, I can’t help but feel that this song is the inverse of those pop tunes in some ways. Part of me says that this song is more about selfishness than about breaking off a stagnant relationship. “Killing my love/ Killing my love for you/ Even now in front of me/ I disavow the family/ Here and now it would be all beyond a doubt/ In my life.” It doesn’t get much more selfish than those words. To make everything about yourself is to be devoid of real meaning. In some ways, I feel like Frost is showing us how distracted and purposeful we can be in our relationships with each other. Maybe I’m reading into it too much, but perhaps this person should have let go rather than to kill the love between them. Frost has a way of being upbeat and pleasant while simultaneously being dark lyrically. “Snowman” is exactly that, and is the song that originally interested me in this album. The heavy, plodding melody fascinates me still, but the lyrics feel clearer, too. “Death has done her work this morning/ Cutting me back down to size/ Frozen in this winter warning/ Gentle in it’s own demise”. Summer is ending as a loved one is slowly lost. The warmth and sunshine have been replaced with a frozen feeling of numbness and despair. Where is the hope? How could anyone have survived this? This snowman—frozen at heart—faces the winter of loneliness, sadness, and pain as his relationship dies a death as gradual as the sunset. Oh, the uncertainty! Oh, the coldness! Where once was love and life, now there is ice and death. “Will you tell me when it’s gone?/ Will you tell me when it’s over?” The ice seems impossible to break. As the evening descends into frozen night, this snowman resolves to fight. Perhaps anger will burn through this cold? Will anything work? Many have tried, but few succeed. “End of story, turn the page/ I’m not the one you want”. So, the relationship is over. Rejection is settling in like a sledgehammer. Or, perhaps, like a machete, seeing as how it has divided this poor person right down the middle. “I got the news today/ Elsewhere I am dividing/ Feels like my world is ending/ I’ve made another me”. “The Other Me” is about the internal battle after harsh rejection. The man felt numb for so long (The Snowman), but now his emotions are a hot mess. Fiery anger builds within him against himself, as one part of him still wants to feel sorrow and love, while his primary self wants to end it all and be done. This person wrestles with identity, but especially with trust. Is there anyone worthy of belief? Can his own thoughts be trusted? This fight has created a monster: a monster needed for the recovery process. “I’m just a stranger/ I walk in the black light/ Boy to a soldier/ I’m fighting the good fight”. He’s fighting the good fight now. After feelings of numbness and anger, this rejected man is starting to see the light. He is starting to see the facade that he has erected for himself. “And I can’t breathe/ Or is it all in my mind?” The time has come to move on to other things. He doesn’t have to be the hero here. Being rejected by the one he loved, he felt as if he had to stick to it forever to feel good about himself. Now, he sees that he can move onto other dreams and other loves. His life isn’t as bad as he thought. Break free from the underground. Break free from your self-invoked cage. The final stage of getting over his rejection is here. He felt as if he was underground, buried alive and at the mercy of love’s whims. This earthy mess, however, was not real. He was blinded by the death of his relationship, and he had believed that he would go to the grave with it. “One underground/ My worm cathedral”. “Two underground/ My worm cathedral”. Can he finally put the two of them to rest, instead of just himself? Can he create a grave for their relationship, but not for his own life, too? His resolve is there. And he knows it can happen. Frost’s debut album is a landmark in many ways. Lyrically, however, it may come off as a bit mainstream in content, at first. In reality, “Milliontown” is more about escaping self-delusion than about a broken relationship. Sure, this broken love is the setting for this trip through the mind, but Frost clearly wants us to learn to break down the walls that we build in our hearts, minds, and actions. We do this with so many things, too. It’s more than a relationship issue: We have to learn to put things in their place. What or who is really worthy of such devotion? Not even our own feelings of value are worth the idolatry that we sometimes erect. In the end, there is freedom in letting go. Let go. Interesting group. Very talented and different. As a bassist I can admire the complexity of the time signatures here. When you can hear them….great vocals.